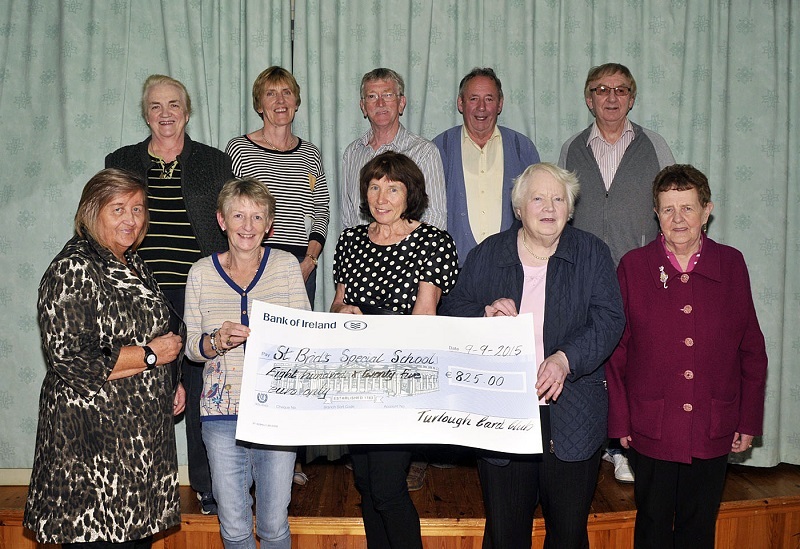 Pictured in Turlough Community Centre, members of the Turlough Card Club who presented a cheque for € 825.00 to St. Brid’s Special School Castlebar, the money was raised by holding a fundraising card game in June, front l-r; Eileen Piggott, Mary Harte, (Friends of St. Brid’s), Cathy Craughwell, Principal St. Brid’s, Mary Docherty and Maureen Flynn. Back l-r; Carmel McSharry, Breta Fitzmaurice, (Friends of St. Brid’s), Pat McHale, organising committee, Jim Docherty, organising committee, Michael Mahon. Photo © Ken Wright Photography 2015.